With Illuminati banker George Soros now promoting the legalization of pot, we look back at how the CIA used drugs to sedate the baby boomer generation. David Livingstone’s article yesterday, Was Surveillance the Purpose of the Internet? made me revisit the question of how the CIA controls culture, and how the Illuminati see virtual reality in Cabalistic terms. When I met Timothy Leary in 1990, I was disillusioned. I had contacted him through his publisher and he phoned me. I went to LA especially to see him. He was my guru. I wanted to know if the utopian vision he represented was still alive. Unfortunately, Leary was fixated on the benefits of what was then called the “information superhighway.” Pioneer of LSD, his pantry table was crammed with bottles of alcohol. Wonderful, I thought. All those airline reservations, all that trivia and human detritus mingling together. At the time I had no inkling that Cabalists believed that perception is reality, and that man creates God, i.e. man is God. Over lunch, I tried to remind Leary of his original vision: using drugs to awaken our spiritual potential and become more God-like in behavior. A disconnect had taken place. The old Leary represented a genuine spiritual awakening. The new Leary was all about mindless human meandering and drivel being equated with the Divine. Writer Mark Reibling put this question to the aged guru in 1994 after a speech in Gainesville Florida. “They never gave me a dime,” Leary replied with a pained expression, and then avoided his questioner. Reibling believes Leary was a CIA agent and informer. The CIA promotes people who believe in a cause but are unaware they are advancing the Illuminati agenda. 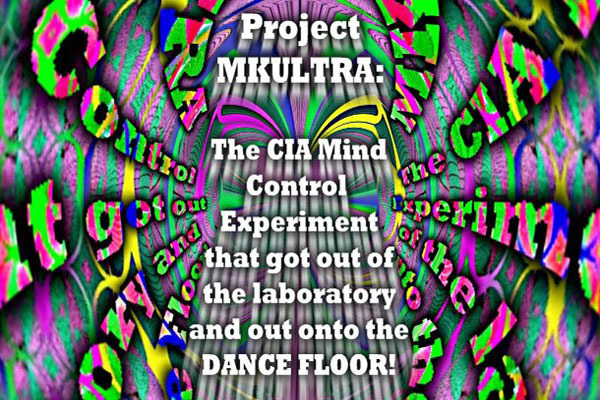 Funds and drugs for Leary’s research came from the CIA. In his autobiography, “Flashbacks” (1983), Leary credits Cord Meyer, the CIA executive in charge of funding the counter culture with “helping me to understand my political cultural role more clearly.” In the book “Mass Control” by Jim Keith, Leary admits to being a “witting accomplice” of the CIA. Elsewhere he says the “Liberal CIA” is the “best mafia you can deal with in the Twentieth Century.” Leary clearly was working for the CIA but was also doing what he wanted-turning on. She confides that CIA has not only been running left-wing groups as fronts, but has been sponsoring more psychedelic research than he will ever know. “You are doing exploratory work the CIA tried to do in the 1950s. So they’re more than happy to have you do their research for them. Since drug research is of vital importance to the intelligence agencies of this country, you’ll be allowed to go on with your experiments as long as you keep it quiet,” she said. After working for Civil Rights in the 1960’s, I joined the rising crescendo of anti-war activity when the CIA-controlled mass media gave the signal. In 1968, three vents deflated the anti-war movement: 1) the gut-wrenching assassinations of Martin Luther King and Robert Kennedy; 2) LBJ’s decision not to seek reelection (his CFR handlers told him to go) and 3) the clubbing of protesters at the Democratic Convention in Chicago. We needed to change ourselves before we can change the world. Thanks to the CIA, Leary’s mantra was heard in the mass media and drugs were plentiful. Although I have not taken LSD, I embraced the utopian vision of Timothy Leary and Aldous Huxley. They believed that “mind expanding” drugs could provide a genuine visionary experience and release mankind’s spiritual potential. In experiments, theology students had life changing revelations; alcoholics were cured. For millennia, many cultures have used drugs to promote spirituality. In Dec. 1963, Meyer called Leary and said they killed JFK because “they couldn’t control him anymore. He was changing too fast. They’ve covered everything up. I’m afraid. Be careful.” In Oct. 1964, she was murdered by the CIA. We are marionettes. The environment, fe-manism, diversity, you name it. The bankers are pulling our strings. In the case of the drug culture, they made us self absorbed and quiescent. They didn’t expect many of us to find God.